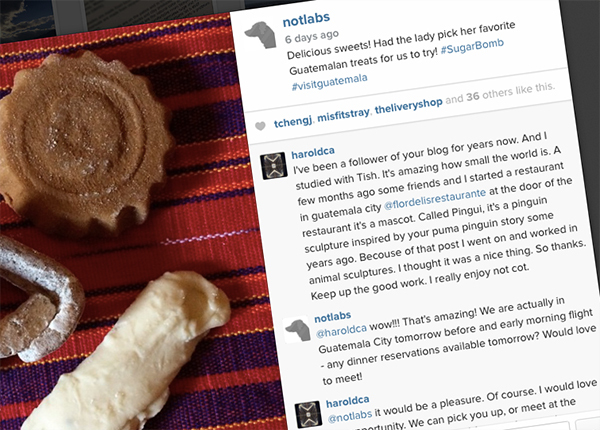 An incredible thing happened when i was in Guatemala. 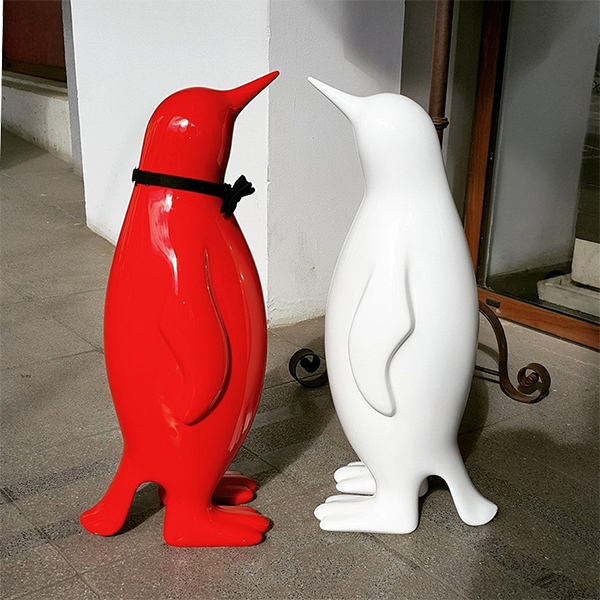 While there for the wedding, i received the most intriguing @NOTlabs Instagram comment - from a long time NOTCOT reader, who is not only an old school friend of the bride, but also such a fan of the Puma Penguins i shared back in 2009, that when he couldn’t find any, he started to sculpt his own inspired by them! 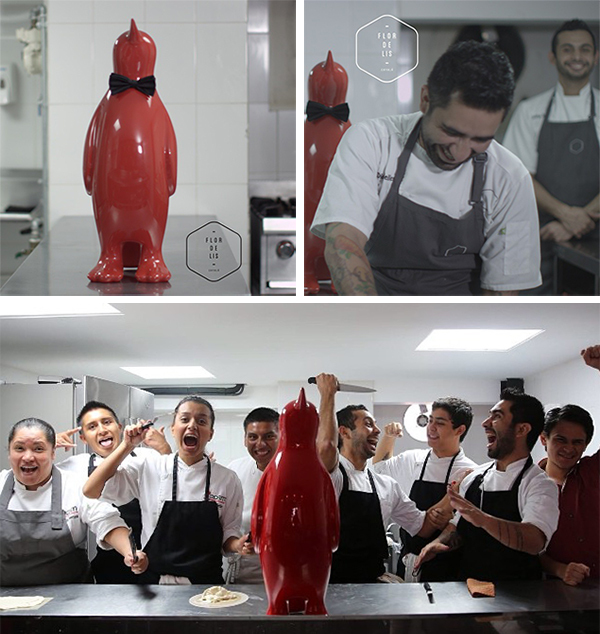 … and even made a red one the mascot of his new restaurant in Guatemala City, Flor de Lis (which also happens to be #1 on Trip Advisor currently.) And with a few hours to spare in Guatemala City before heading home, we were lucky enough to meet up! 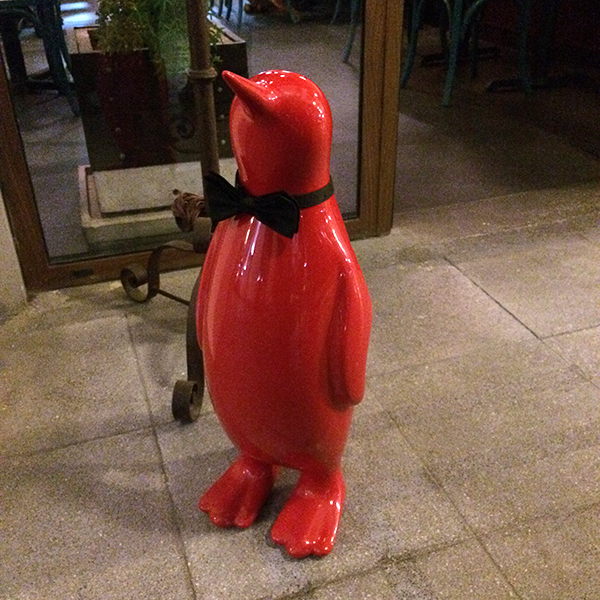 So before i get into the delicious restaurant, or more of the things we found in Guatemala… first things first… the amazing story of Pingüi! The mascot of Flor de Lis! 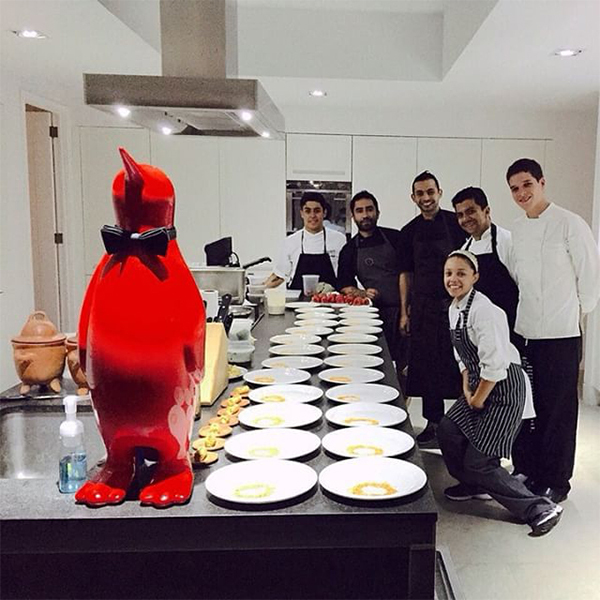 And it goes even further… Chef Diego even has the penguin tattooed on his forearm! 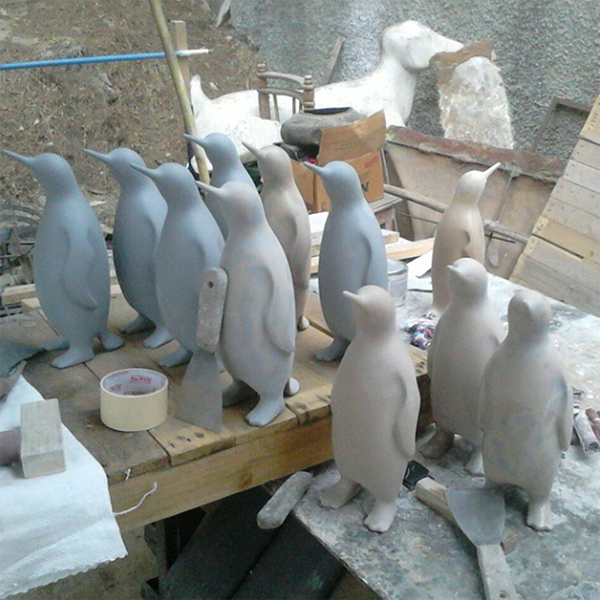 And they are even making more mini penguins for the upcoming wedding! So. WOW. 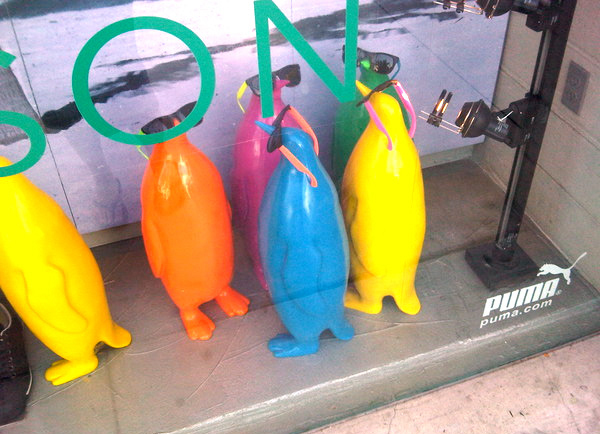 I still can’t believe all of this has been inspired by spotting some penguins in Puma window displays way back in 2009. Puma, if you’re listening, THANK YOU! 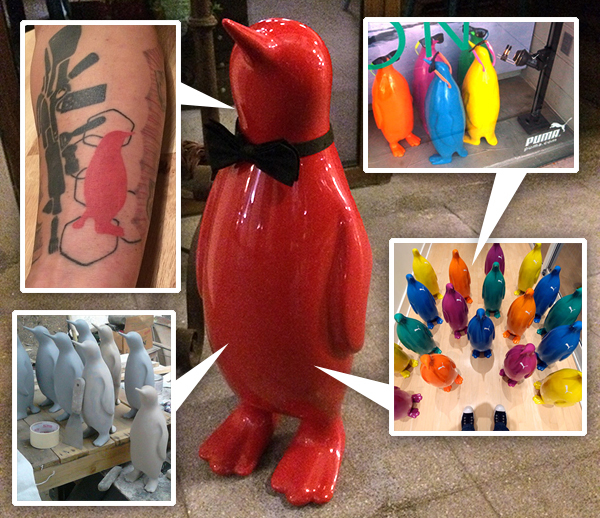 The penguins are still inspiring people around the world! 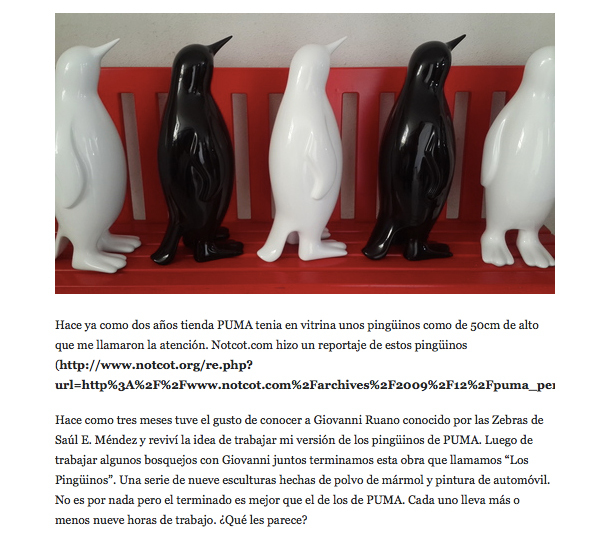 Take a peek at Pingüi and the story on the next page! 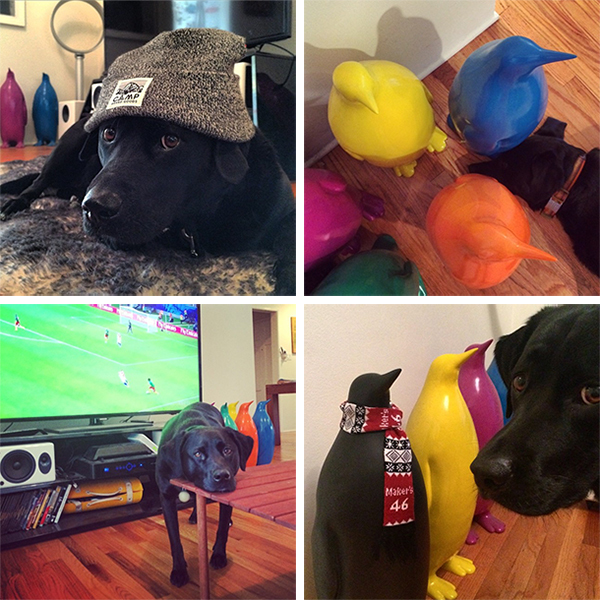 … and then Puma sent 20 penguins over in 2009? 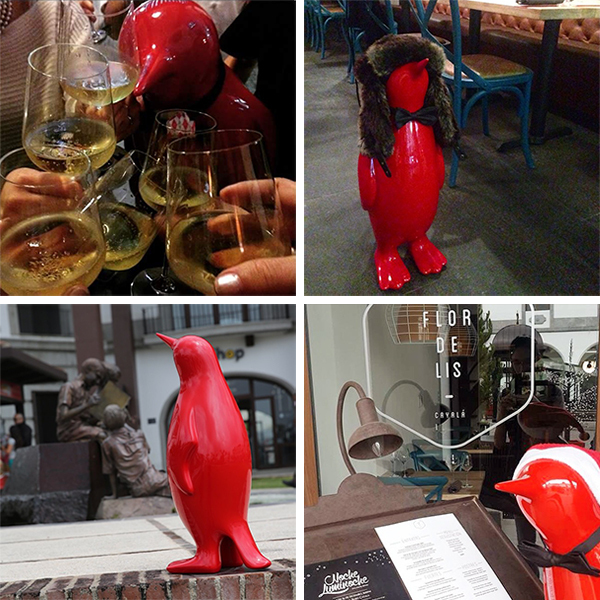 So naturally i headed right over to Flor de Lis’ facebook and instagram to see this Pingui! Once Harold and i start emailing a bit more - he sends me a tumblr link to the first Penguins he made in 2013 - so adorable! 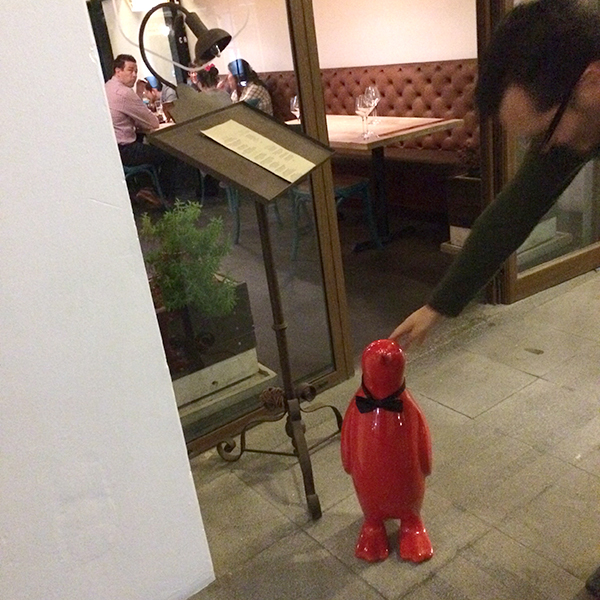 First thing you see when you walk up to the restaurant - Pingüi is looking up at the menu! Isn’t he adorable in his bow tie? Is it any surprise that everyone adores the little guy? Kids can’t help but to run up and hug it! 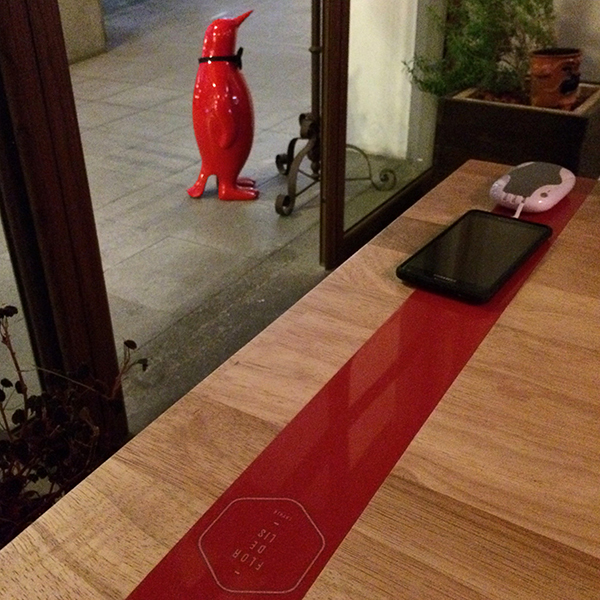 Pingüi even makes appearances at special events! Eating dinner, i had the perfect spot to watch him at his post outside! 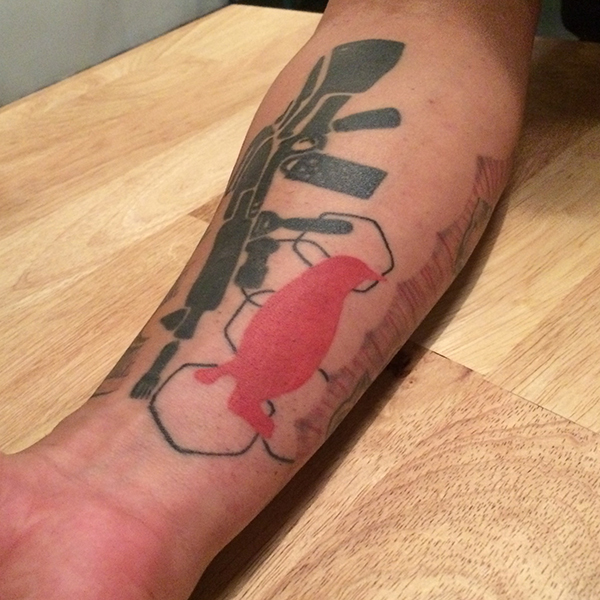 Can you believe this amazing tattoo on Chef Diego’s forearm? AMAZING! And to make it all even more incredible… Harold’s working on minis for his wedding in two months! 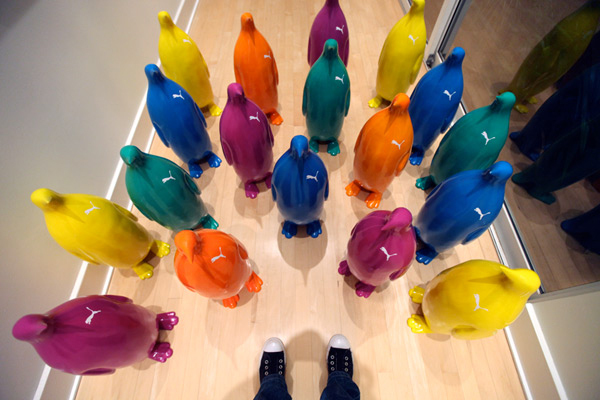 I loved the Puma Penguins from the start… but NOW… when i see them at home, i’ll never forget how many people they have inspired, and the stories they continue to create!